Newer: » Space and cost keeping children out of school? The constant presence of controlled substances/drugs on the streets of San Pedro is a major concern to authorities and residents alike. It is especially alarming when an illegal substance finds its way into the very institution that we try so hard to keep our kids in, where they are educated and hopefully deterred from drugs. 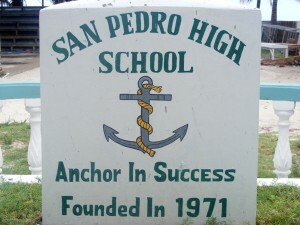 On Tuesday, September 27, 2011, what occurred at the San Pedro High School (SPHS) could be described as nothing less than shocking. At around 12:30PM, the San Pedro Police Department were called to the school’s grounds. Unconfirmed reports were that the school officials became aware that 19 students of Class 2G had consumed and were suffering from the effects of the marihuana “spiked” Brownies, commonly known as “Hash Brownies”. 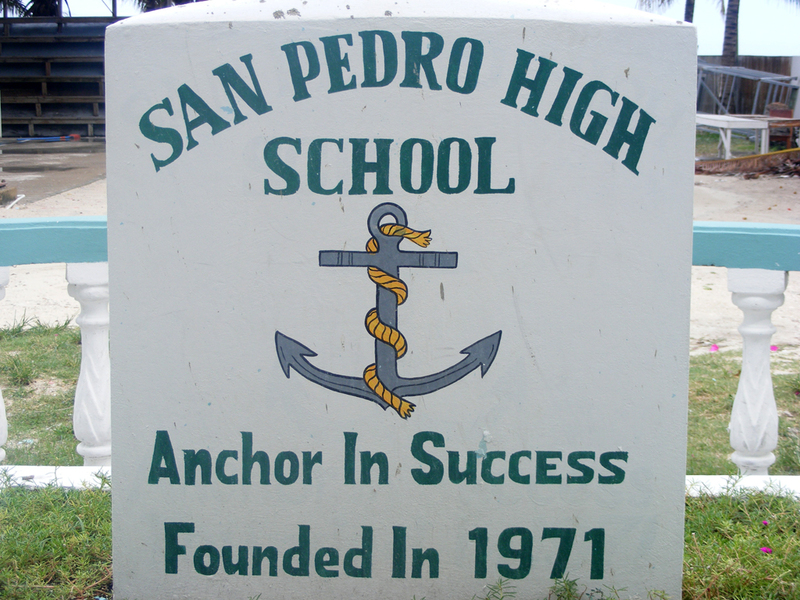 In an interview with Mr. Emil Vasquez, Principal of SPHS, he informed The San Pedro Sun, “We became aware of the situation when one student reported to the office complaining of a headache. He was questioned as to what he had consumed and among other things, mentioned a brownie which was being shared around the class. As the suspicions were raised, we immediately contacted the police department, which had an officer over very quickly”. According to Mr. Vasquez, the culprit, who is a minor, confessed that he had brought the spiked brownie to school for his personal use as he feels the need to have it. He claimed that he was having the brownie as breakfast. However as he was eating, students gathered around and asked him to share. This he did. He further claimed that some of the students knew exactly what he was eating, but they insisted and he complied. At the end, 19 students had eaten from the five squares of spiked brownie. As to how the incident was allowed to occur, Mr. Vasquez commented, “To start off, the manner in which it was introduced. It was introduced as a brownie, which students do sometimes bring in the morning as snacks or breakfast. Some of the kids bring their lunch and they are allowed to have their lunch in class because they can not afford to buy food at school”. What steps will be taken to assure that a situation like this does not arise in the future? Mr. Vasquez stated, “In the past we had problems with students introducing alcohol into the school grounds using dark bottles. Students were allowed to bring drinks to consume in the past however that was discontinued as we discovered that alcohol had been introduced into the school using that medium. Presently, only transparent water bottles are allowed in the school. Now we might even have to ban food. It is unfortunate but at some point we will have to ban the introduction of food items in the school”.